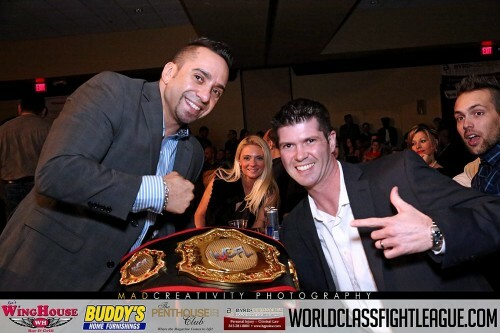 The World Class Fight League (WCFL) is Florida’s premiere Amateur MMA competition! We feature a variety of talented MMA fighters that travel across the US to compete in our exclusive invite only events! Our fighters are selected after they prove themselves to be aggressive, fearless, and highly skilled. Our exclusive and upscale MMA events are hosted in Tampa, Orlando, and Ft. Lauderdale! The WCFL is the official Amateur MMA organization in the Tampa Bay area for the RFC! Our WCFL MMA fighters are the best and they are one step away from turning pro! Scouts from the largest pro organizations such as the RFC and others, attend our events to determine who is worthy of receiving a pro MMA contract! Many of our fighters are on the brink of becoming professional Mixed Martial Arts fighters and this is their final proving ground! Now, with the state of Florida requiring that all MMA fighters have a minimum of 5 amateur MMA fights, the WCFL is the proving ground to see who will make a solid career out of MMA. WCFL fighters have been offered professional contracts and turned pro as a result of fighting for World Class Fight League! Our exciting shows are sanctioned by professional MMA organizations that ensure the fighter’s safety and makes sure the fights are action packed and judged properly! You will be amazed at how fast paced and aggressive our fights truly are! Many spectators have said that fights at the WCFL are more exciting that many of the professional bouts they have witnessed! The WCFL hosts its promotions in venues that allow unobstructed viewing for all general admission seating and VIP table areas! Our MMA events in Florida feature full beer, wine, and liquor, as well as many food options to make your experience with the WCFL the best! Our events sell out quickly, click here to reserve your seat now! Here at the WCFL we take pride in supporting our MMA fighters! If you are an amateur fighter that is ready to prove yourself, promote your gym, and destroy your opponent, contact us today for a consultation. If you are chosen for any of our upcoming fight cards, you can rest assured that you will have a memorable experience with the WCFL as you become one step closer to turning pro! We only accept sponsorships from reputable companies and organizations that fully support MMA as a sport and lifestyle! Our sponsors are the reason why events like the World Class Fight League can exist! If your business is interested in sponsorship opportunities with the WCFL or any of our fighters, contact us today and we will be happy to speak with you about ways we will take your business/organization to the next level! Are you ready for the best in MMA action in the state of Florida? Definitely. We will see you at the next WCFL!